Grey Hound. 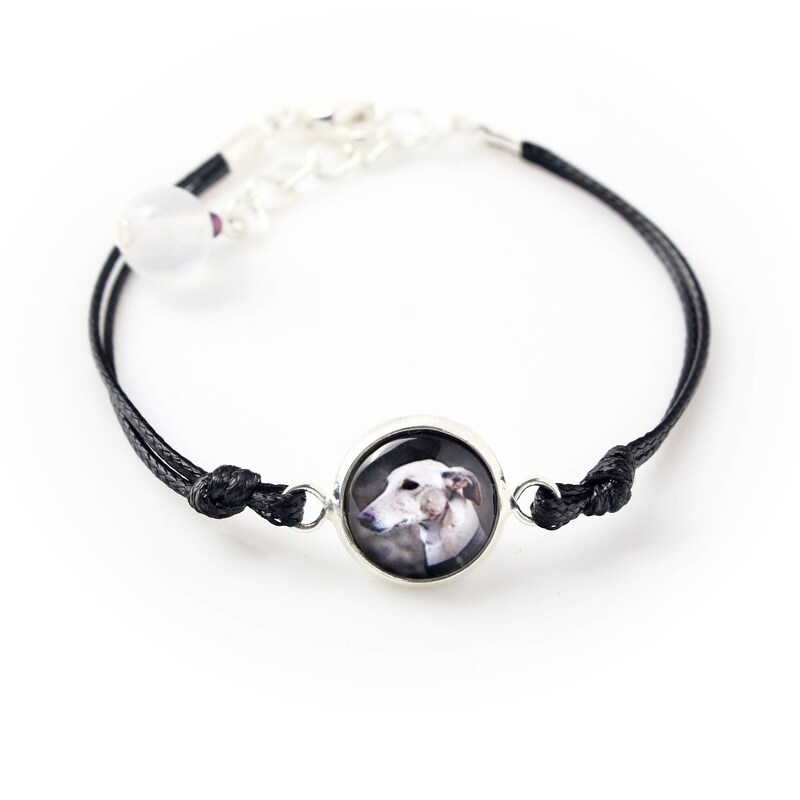 Bracelet with box for people who love dogs. Photojewelry. Handmade. Unique handmade jewelry for people who love doggs. 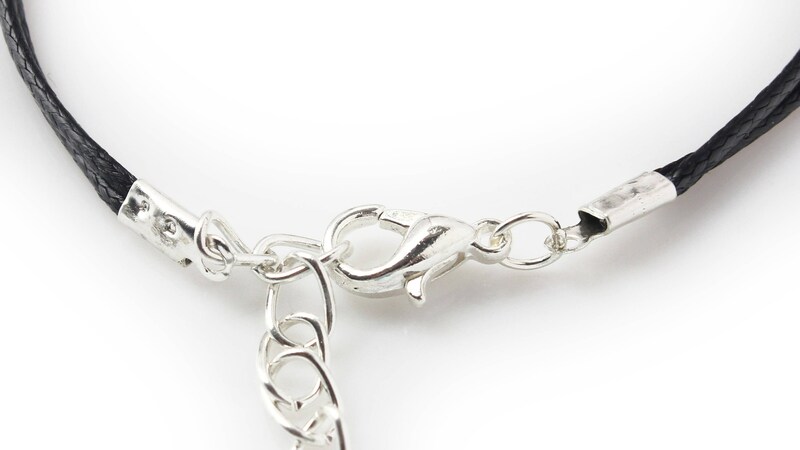 Charming, modern bracelet, handmade with passion and eye for each detail. Unique photo included under convex glass and framed in hypoalergic metal base in the color of silver. The size of the photo is 12 mm. The photo is of highest quality in vivid colors, developed on high class photographic paper. The length of the bracelet is regulated: rope ended with fastener with chain and bead from natural stone. The length 16-18.5 cm. 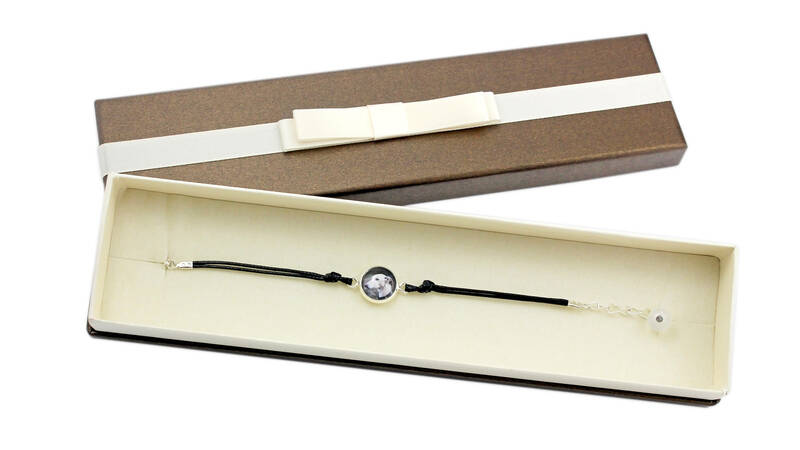 It is possible to make bracelet of different length. Adjusted photo is also available as hanger and earring. Do you dream of unique jewelry with own pet? 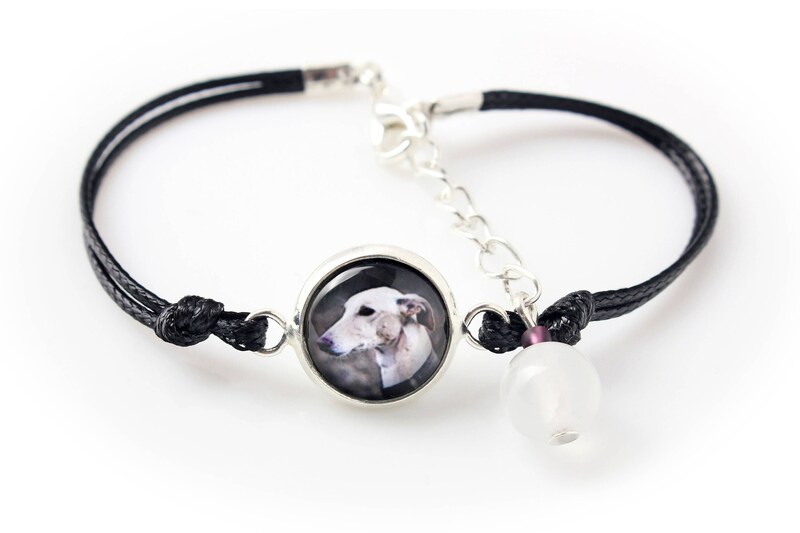 It is now possible to realize custom order from entrusted photo of the pet or any graphic! Contact with us. The jewelry is not waterproof. It is recommended to take it off before swimming, bathing, sauna. Colors may be slightly different from inserted template.